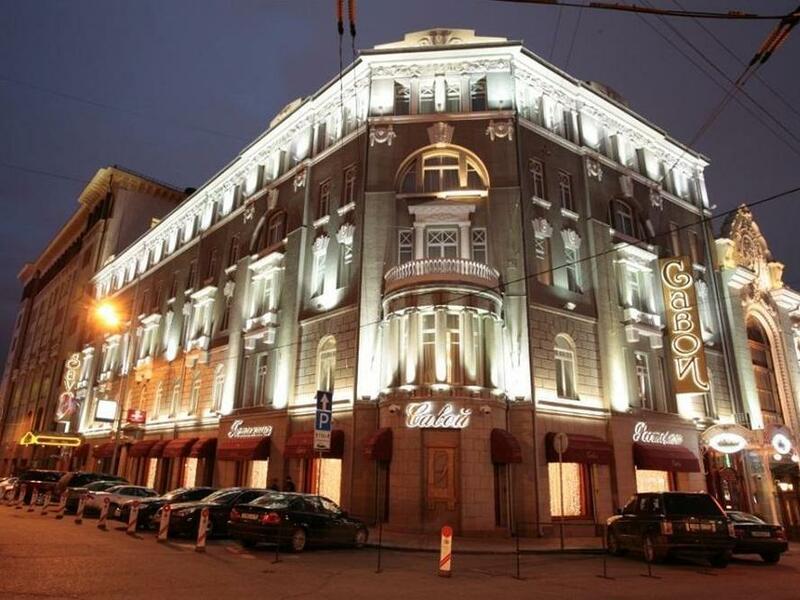 Ada pertanyaan untuk Hotel Savoy Moscow? Terletak strategis di Moskwa / Moskow, Hotel Savoy Moscow adalah tempat yang luar biasa untuk memulai penelurusan kota yang aktif ini. Hanya 1 Km dari pusat kota, lokasi properti yang strategis ini memastikan para tamu dapat menuju tempat-tempat menarik dengan cepat dan mudah. Sebagai sebuah tempat untuk beristirahat dan bersantai, properti ini terletak hanya beberapa langkah dari berbagai obyek wisata kota ini seperti Fueguia 1833 Laboratorio de Perfumes, Viewpoint at the Rooftop of Central Children's World, Central Children's Store. Fasilitas dan pelayanan yang diberikan oleh Hotel Savoy Moscow menjamin pengalaman menginap yang menyenangkan bagi para tamu. Properti ini menawarkan sejumlah fasilitas di tempat untuk memuaskan segala jenis tamu. Properti ini memiliki 67 kamar yang didesain dengan cantik. Banyak kamarnya dilengkapi dengan televisi layar datar, cermin, ruang keluarga terpisah, akses internet - WiFi, akses internet WiFi (gratis). Properti ini menawarkan fasilitas rekreasi yang mengagumkan seperti pusat kebugaran, sauna, kolam renang dalam ruangan, pijat, untuk memberikan pengalaman yang tidak terlupakan. Nikmati lokasi dan pelayanan tidak terbandingkan di Hotel Savoy Moscow. 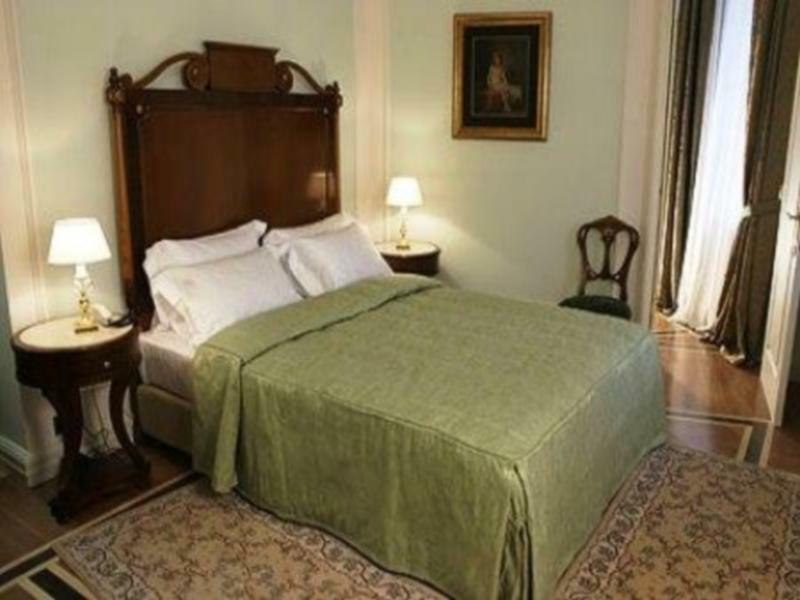 The hotel is located very close to the city’s tourist attractions. I can walk to the Kremlin area, red square within 10 minutes. I can also go to the metro station within 3 minutes by going through the 24-hour shopping centre opposite to the hotel. Hotel’s decoration are elegant. Breakfast with background music played by a pianist which made me feel good. Walkable distance to Red square and the nearest metro station is only 3 mins away. The breakfast was incredible good as well as the decoration in the breakfast room is stunning. The room was great, a bit small bed but still great. We stayed there for 5 nights. However, I had booked a hotel mini van on the day I checked in for the train station on our check out date which was confirmed by the stuff that it was available. So the day before we left, I went to the reception again to confirm the pick up time and the station name with them but they told me that the mini van was no longer available for us with no one inform us regarding this matter. We would have missed the train if we trust them that the minivan was booked and confirmed at the first place. Very disappointed. Beautiful hotel to stay in Moscow. Walking distance to tourist spots and provide transport to other places by booking at the reception at affordable rate. Breakfast buffet is very good to start your day! This hotel is best. Location was great.. Room you will fall in love.. We came and baby coat is already inside our room. The room is spacious, very clean, bed very comfortable. Service.. their service is the best.. I gave 10 star. F.o.c for the invitation letter. Within 30 minute your invitation letter is ready. The reservation department is very responsive. Staff here I would say.. to kind. They treat u with beautiful smile,very polite n helpful too. U even got a huge chocolate on women days.. will stay here again..
Room was spacious and well-appointed, with smallest details seen to. The location is very central, just a stone's throw from Red Square, and just opposite the metro station. Staff were very courteous and efficient. My only issue was a small glitch with housekeeping, who accidentally entered my room while I was inside (I think they were trying to do the turn-down service), which gave me a bit of a shock. Otherwise, it was fabulous. Also, the restaurant was great. really centrally locted nearby red square, shopping area, theatre. 1st time to visit Moscow. The hotel was sublime in its classical style and setting. Emplacement, very convenient for ease of access to shops, red square and metro. Should we visit again, it's The Savoy for us. Our room had no view (window was toned to make it not transparent, otherwise you'll observe inner yard and roofs). it was the only minus of room and hotel itself. Breakfast was good, having even life music to entertain you while eating. Would come back! This is a unique place preserving the atmosphere of Moscow before First World War. 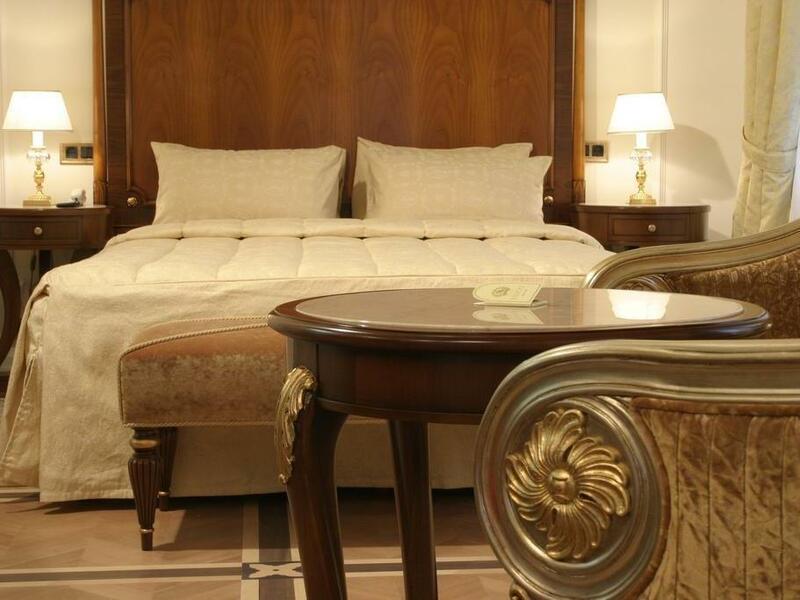 The renovation was just 9 years ago but it only added luxury and comfort but the special interiors were preserved. So you can enjoy the halls and especially rococo-style restaurant which is worth visiting not only for the decorations but also (and foremost) for the nice Russian cuisine. An overall terrific hotel... it was very close to the metro and had a terrific buffet style breakfast included. The rooms are on the smaller end (size-wise), but the bathroom was very spacious. Overall, we had a terrific stay and the staff was very courteous and spoke great English. I couldn't be happier. We stayed in a very spacious executive room on the 5th floor overlooking the construction work outside the hotel but this did not bother us at all. I highly recommended this hotel and would stay here again. Exellent location. Few minutes walk to Red square. Many good dining and drinking places around. Clean rooms, helpful staff. Gorgeous breakfast at the wonderful restaurant! Good location, good facilities, friendly staff...what else can you ask for. The area around the hotel is not "crowded" with people even though it's close to the red square. 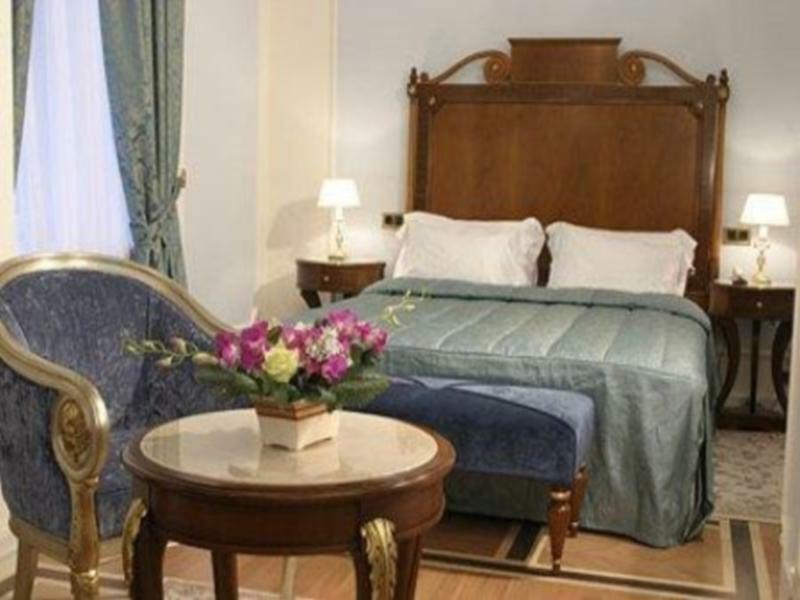 The hotel is located near to the red square and the area around the hotel is good - close to cafes, restaurants and shops. Overall value for money except that breakfast was not included. Perfect location, very clean and helpful staff. It was all the comfort that we need. Walking distance to the Red Square. Nice staying experience. Lots of sight seeing spots are in walking distance. Don't forget to go to the cafe floor of the shopping mall next to it. Centrally located, comfortable and class design rooms, breakfast was superb!